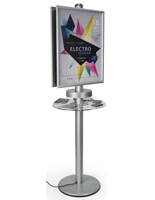 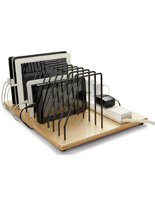 Our multi-gadget charger allows you to power various devices at one time. 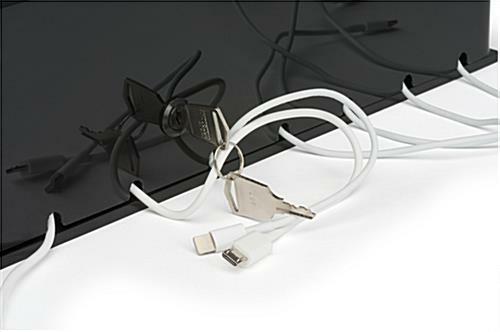 It features ten cords that are compatible with both Apple® and Android® electronics using lightning and micro-USB connectors. 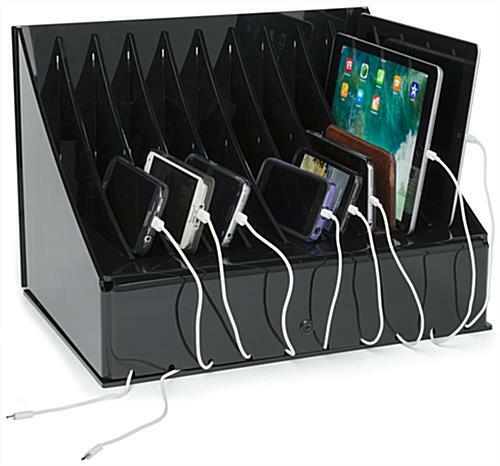 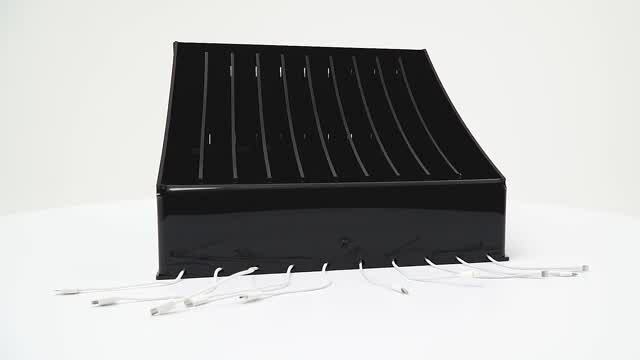 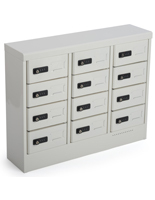 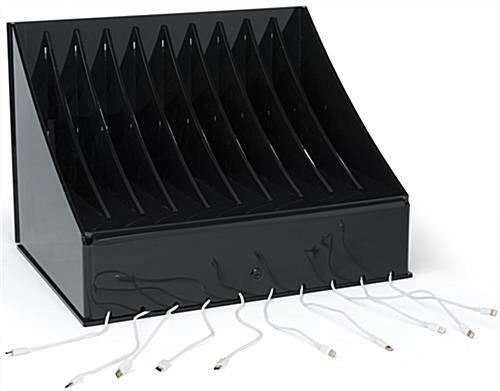 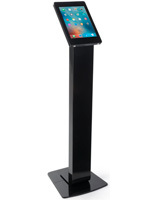 This black dock charger is equipped with detachable pocket dividers to accommodate even larger electronics. 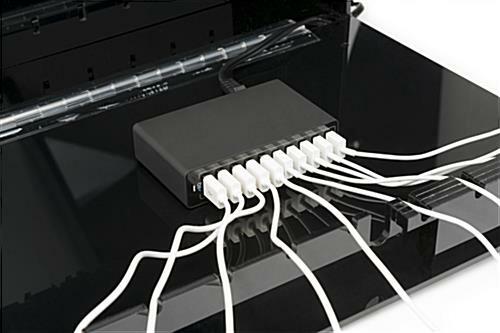 The cord management system allows you to charge multiple devices without the tangling of wires. 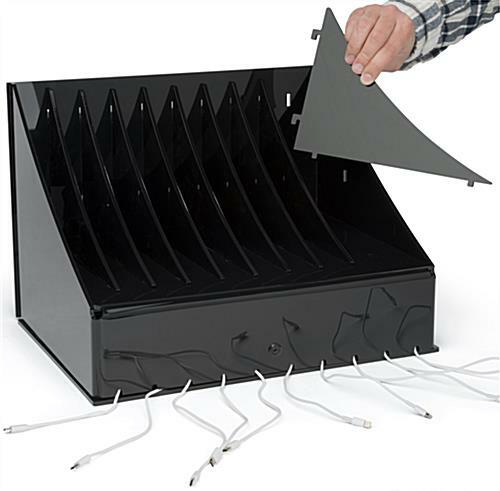 Our gadget charger comes with screws to secure it to the table for added stability. 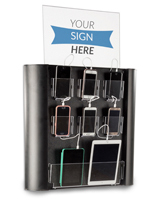 The ability to charge multiple devices is as simple as can be with the help of this docking system.